Our new booklet is here! The new full colour dinosaur dreaming booklet is finally here. It is the culmination of over 100 years of dinosaur hunting along the Bass Coast, not just the Flat Rocks site. The book retails for $19.95, and is available right now through the Monash Science Centre. Call in or ring 9905 1370 and Jenny will mail you out a copy (+$5.00 p+p). Or if you're joining us at one of the upcoming dinosaur digs, you can get a copy from Wendy or Lesley. Please tell your friends and family about the book. 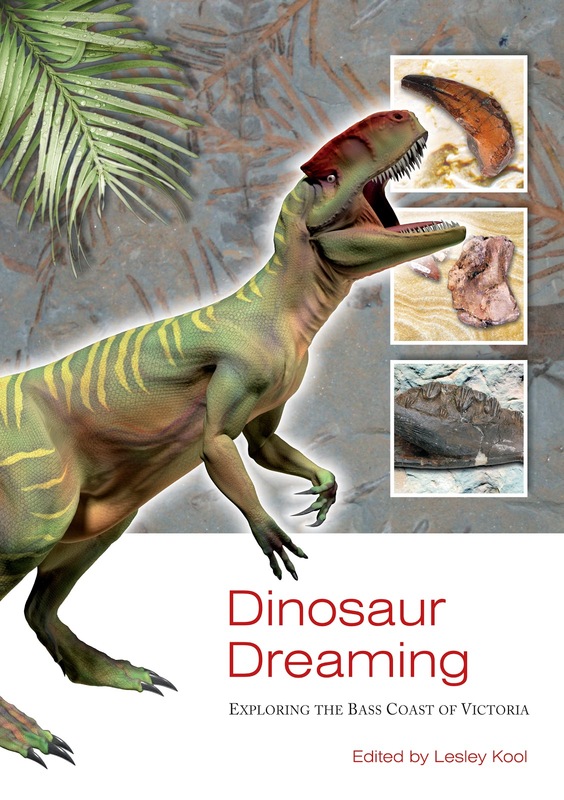 It will make a great Christmas present for anyone interested in dinosaurs or fossils in general. All proceeds from the sale of the book will go directly to funding the ongoing research into the Victorian Cretaceous.